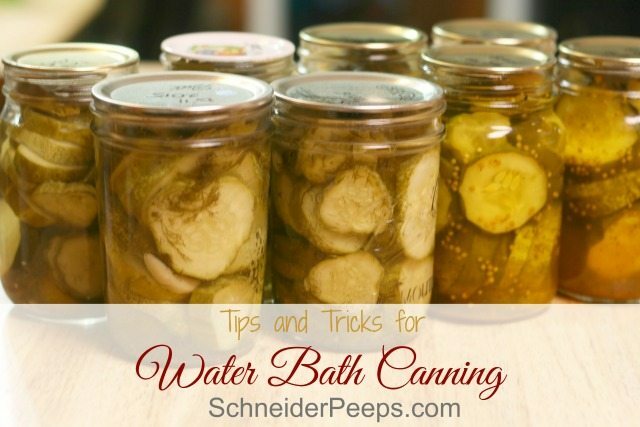 Water bath canning is usually the first canning someone does, and for good reason. With water bath canning you don’t really need any special equipment, you can usually make due with what you already have. But not everything can be preserved with a water bath, low acid foods need to be processed using a pressure canner. Low acid foods would include meats, green beans, dried beans, corn and potatoes. I know you can find people online saying they water bath can some of these things and haven’t gotten sick. However, this is one time where I follow the rules. The risk of botulism or of wasting food and money is just too great to mess around with trying it. Foods that can be processed with a water bath canner are high acid foods (4.6 pH or lower). So, tomatoes with nothing added can be safely canned with a water bath canner. 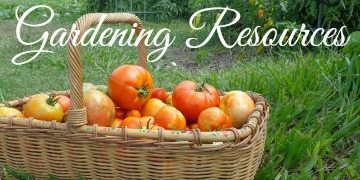 If you add onions, garlic or other spices to your tomatoes you will need to check the pH with pH strips or use a pressure canner. Some people will add vinegar, citric acid or lemon juice to increase the acidity of the tomato sauce which is also an option. Jam, jellies, fruit butter and fruit preserves can also be processed in a water bath canner since they have quite a bit of sugar in them. 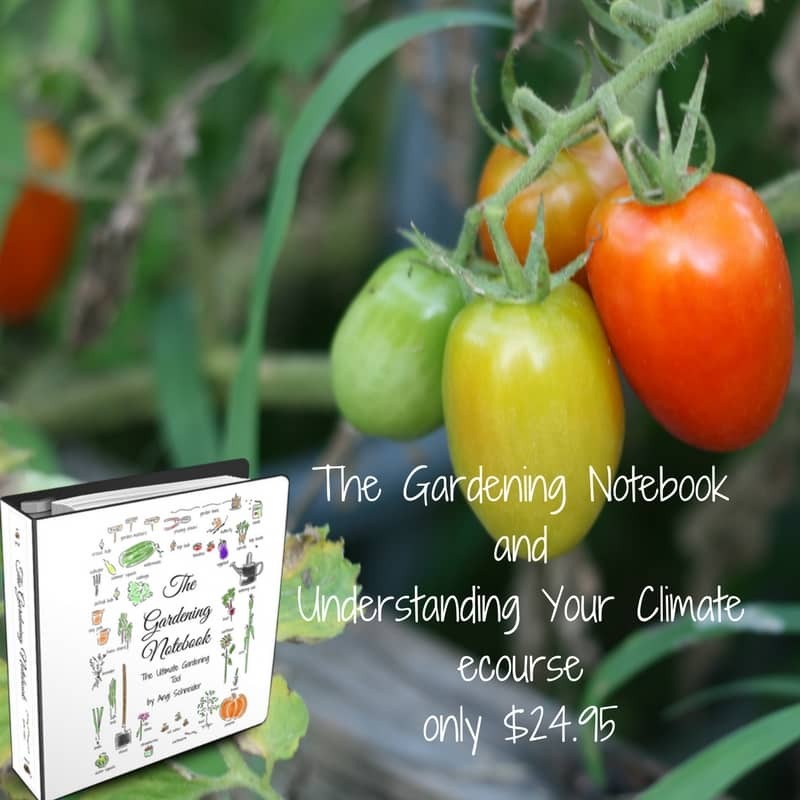 I have some preservation worksheets to help you keep track of the foods you preserve for you family. Just fill out the form below and they’ll be emailed to you. You don’t have to have an official “water bath canner” in order to can foods in a water bath, any large pot will do. The pot just needs to be large enough that the water will completely cover the jars. Most water bath canners come with a rack to put the jars in. I’ve never used the rack that came with mine, it’s just too bulky. Some people recommend that you put a towel down on the bottom of the pot if you are not using a rack to keep the jars from breaking. In over 20 years of canning, I’ve never done this and I can’t remember my jars ever breaking while processing. 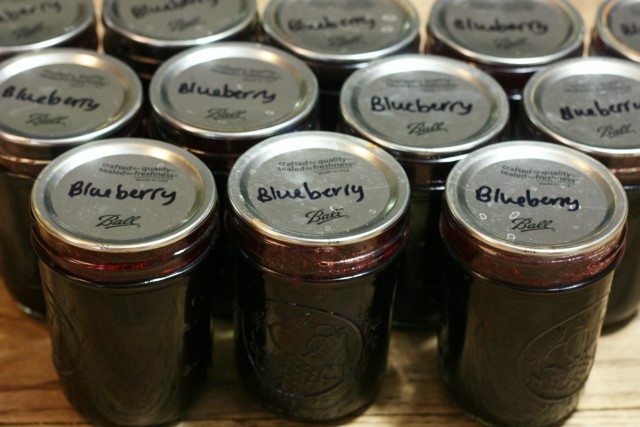 If you are canning in ½ pint or 4oz jars, a 5 or 6 quart pot is really ideal for them. 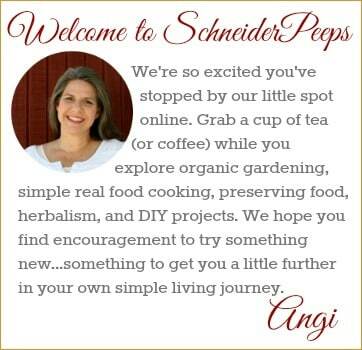 The canning tools that I think are indispensible, besides the jars and lids, are the canning funnel and the jar thongs. Everything else I use is just a normal kitchen item. The funnel helps get the hot mixture into the jars without making a huge mess and the jar thongs gets the jars out of the hot water without burning yourself. If you aren’t going to use the rack you absolutely need the jar thongs. If you are using the rack, having jar thongs isn’t as necessary but you’ll need to load your rack before putting it in the water. Make sure you have clean jars and enough lids before you begin. There’s nothing worse than being in the middle of jam making and realizing you don’t have enough lids to complete the job. Speaking of jars, always, always, always check the rim of the jars for nicks. If there are nicks in the rim of the jars the lid won’t seal. The only thing worse than not having enough lids is realizing that the jars didn’t seal because there were nicks in the rim of the jars. The jars need to be sterilized before using them. If you have a dishwasher, you can run them through the dishwasher, if you don’t you can boil them in a the water bath canner. Know how long you need to process what you’re making. For water bath canning processing times vary from 10 minutes to 90 minutes depending on what you are canning. If you don’t have the Ball Blue Book of Preserving, I highly recommend it. 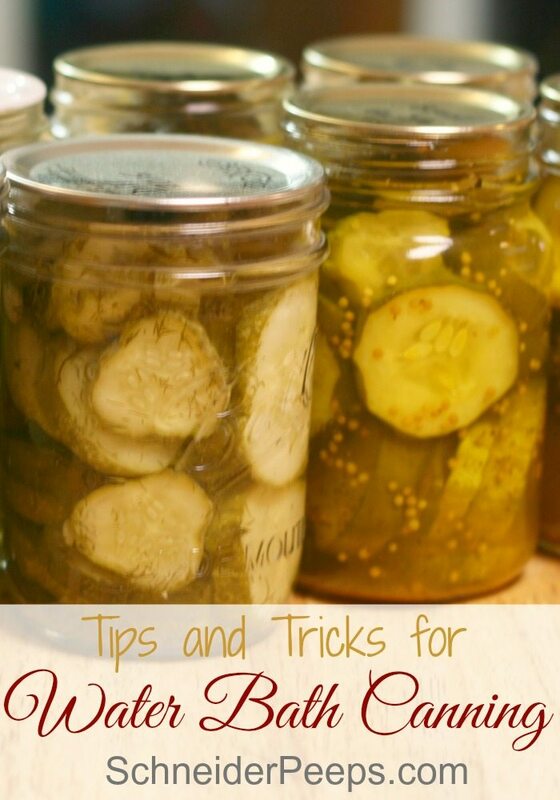 You will find all kinds of recipes and information for canning and dehydrating. Unless you’re using reusable lids, don’t reuse the lids. When you pop a lid off a jar of canned food, there is high chance that the lid will be damaged in some way. 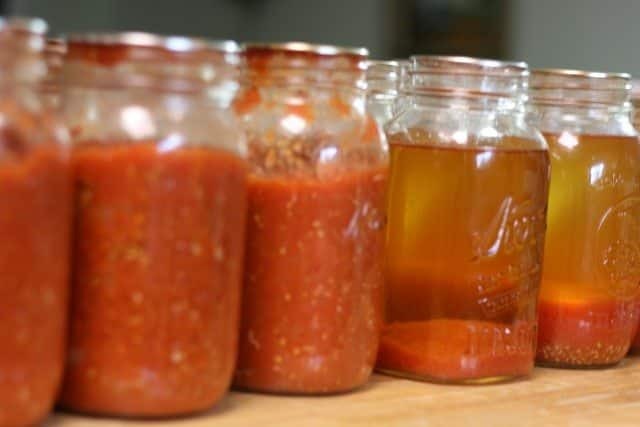 Lids are pretty cheap and can often be found on clearance at the end of the canning season so for me it’s not worth the risk of a jar not sealing. Use reusable lids for food that is for your family. For the most part, I use Tattler lids for food I’m preserving for my family and metal lids for food we’re giving away. Tattler lids are a little different than other lids and you need to read the instructions before using them. For the most part, they have worked great for me. I do have a higher rate of the seal failing with Tattler lids than I do with metal lids but I just put those jars in the refrigerator and use them first. For me the cost savings is worth the inconvenience of having to put it in the refrigerator and use it first. Have extra towels and hot pads available. Water bath canning is a little messier than pressure canning simply because there is more water to deal with. Once a hot pad get damp it doesn’t work as well and I find that it helps to have a few extra so I always have a dry one. If you have a tip that I missed, feel free to share it in the comments.